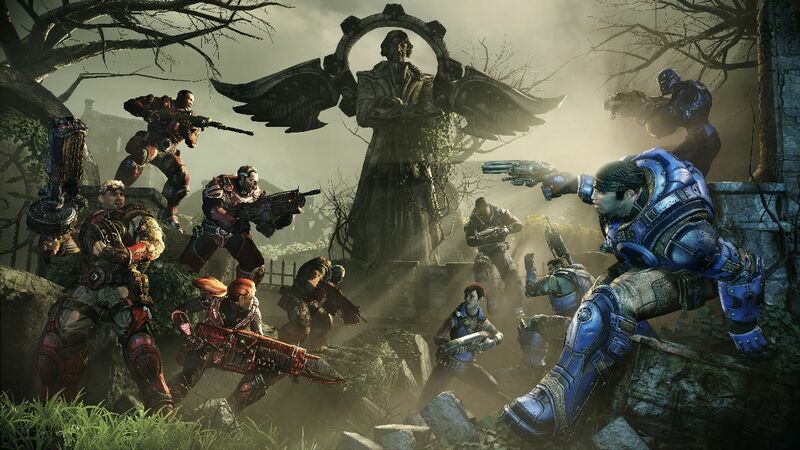 People Can Fly and Epic Games have announced the first paid add-on pack for Gears of War: Judgment: Call to Arms. Upon purchasing the content players will gain access to three new maps (which almost doubles the amount of maps available at launch), a new mode called “Master At Arms” which is basically Gun Game from Counter Strike, and six new weapon and armor skins. Available for VIP Season Pass holders on Tuesday, April 23 via Xbox LIVE, and available worldwide April 30 the pack will add 10 new Achievements worth a total of 250 Gamerscore. Unusually, the pack will cost 1000 Microsoft Points ($12.50) rather than the norm at 800 Microsoft Points. This new free-for-all game mode exclusive to Gears of War: Judgment will test the true range of your soldiering skills. The goal is to get a kill with each of the 20 different available weapons, without resorting to melee or grenade tactics. Every successful kill will automatically advance you to the next available weapon until you have used them all and proven your skill as a true Master at Arms. Word has it that Gears of War: Judgment under-performed when it came to sales. Will you bother picking up the new map pack?